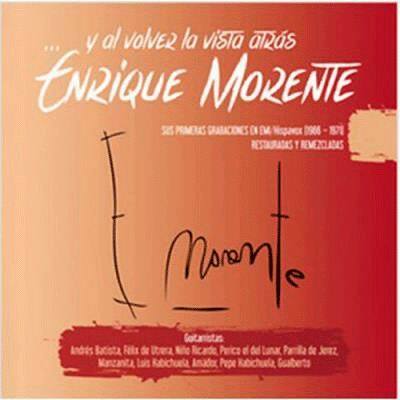 Enrique Morente used to tell, sarcastically, that he kept almost “biblical” cassettes from the beginning of his career under his bed: a “treasure” that Warner Music has now dug up and re-recorded in order to release this cd again…Y al volver la vista atrás, the recordings that he made for Emi/Hispavox between 1966 and 1977. This pack is formed by the five original albums, recorded in cassettes that the artist from Granada (1942-2010) made for the disappeared record company, restored and remixed, plus an extra CD with unpublished songs and other rarities. The box includes a 40-page-booklet with the “Guía de Escucha”, made by the producer José Manuel Gamboa, along with José Luis Ortiz and Pedro G. Romero notes, and historical photos.